Launched in 2015 by the Professional Numismatists Guild, the Accredited Precious Metals Dealers program was developed to provide an even higher level of confidence for precious metals buyers by maintaining the same rigid standards of excellence for PNG precious metals dealers—and more. PNG is a nonprofit organization comprised of the world's top rare coin, paper money and precious metals experts and all APMD members must first be PNG members. APMD members must also follow an additional code of ethical business practices specifically applied to the buying and selling of bullion coins and ingots. The APMD is also charged with helping the public learn about bullion coins and ingots and, more importantly, helping consumers avoid problems when they make purchases or sell. As members of the Professional Numismatists Guild, all APMD dealers have had their backgrounds verified and they all have a minimum net worth. Most are known throughout the industry by their reputations for expertise and fairness. Since its inception in 2015, we’re proud that many PNG members have already confirmed the value of an APMD membership and come on board. Your PNG-Accredited Precious Metals Dealer is a professional you can always trust—an advocate who has your best interest as their top priority! Buy and sell with confidence when dealing with an Accredited Precious Metals Dealer. Only APMD dealers offer complete peace of mind when buying and selling bullion and they’re all listed here for your convenience. Looking to further reinforce your reputation in the precious metals market? APMD standards are high and the path to becoming accredited is rigorous but it is a necessary step for the most experienced, knowledgeable and ethical dealers. As a Professional Numismatists Guild member you can be confident that you are dealing with an extremely knowledgeable, ethical and trustworthy professional. All APMD member dealers have had an extensive background check and are verified to vet their industry reputation and business practices for expertise and fairness. In addition to being a member of PNG, all APMD dealers are required to follow an additional code of ethics, defining strict business practices when buying and selling precious metals. 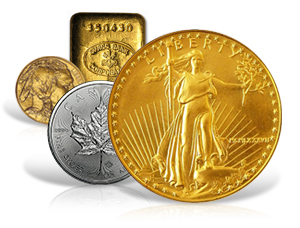 APMD dealers are the most experienced and knowledgeable bullion, coin and paper money experts available anywhere. Bound by the standards of PNG and APMD, their excellent reputations often precede them. All APMD dealer members must submit to legally binding arbitration to settle any dispute relating to the purchase, sale or trade of precious metals items. Think of it as an insurance policy. When it’s all said and done, you really shouldn’t use any dealer who isn’t in the APMD network. Welcome to APMDdealers.org, the site that links precious metals buyers to the most trusted and accomplished dealers in the field. We’re pleased to provide this site where you can learn all about the APMD, why it’s so important to do business with APMD-accredited bullion and precious metals dealers, and most importantly about the dealers themselves and the services they offer their clients. Most APMD dealers have been in the rare coin and precious metals business for decades and form the backbone of these markets, consistently buying and selling millions of dollars of coins and bullion annually through both good and bad markets. All APMD member dealers possess a keen understanding of the precious metals marketplace. Many of them provide free information on their websites to help you make wise buying and selling decisions. When you visit their sites, you can find information on a variety of topics such as should you choose bullion coins or bars, how to avoid counterfeit bullion products, the pros and cons of Gold IRAs, how to store your precious metals, plus helpful tips and current market news. When it comes to buying or selling precious metals, the more you know the better. When you deal with a PNG-APMD dealer you’ll get honest, reliable pricing and service. Our dealers say what they mean and do what they say. It’s as simple as that. PNG-APMD dealers want to earn your repeat business for years to come and the only way for us to do that is to be honest, fair and transparent in our dealings with you. So please give an APMD dealer the opportunity to earn your business. We think you’ll be happy with your decision for years to come.